Add some fun to your Parts of Speech unit! 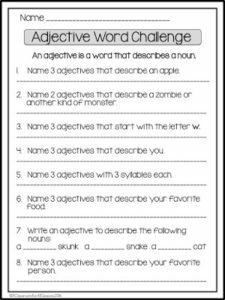 Students LOVE this adjective challenge. Have them work individually or in pairs depending on their level. If you want to make it even more challenging, ask them to come up with the most unique answers.